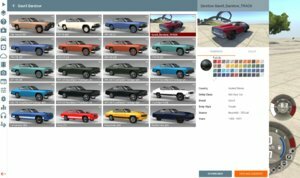 With Thumbnail on Car Selector! One Problem i have, On the Car Selector you can See there are Underlines on the Car Thumb!!!! So I need Help to get them Away from the Thumb but IDK how? 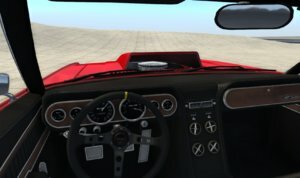 I Testet it over 1 Hour but then the Thumb doesn't work then the Car was Duplicated and More!!! So PLS Help me Out!!!! If you Find any Bugs Tell me it, and i try to fix it!! Tell me you're Wishes from Configuration and I'll try to Make them!!!! 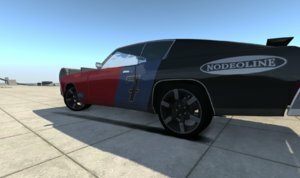 Even I Could Do Better, And I Have Almost No Experience Making Mods! rubbish just like every config of yours no effort. nah..still not a track car for me. that wheels don't suit the car. and they make a car even worse! 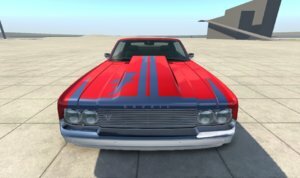 It's an old american muscle car! Use the wheels like Gavril rush or Sporter. It's okay... but you didn't make those parts. Those are all stock parts from other vehicles! Stop acting like you made the hood, rims, and wing, these are all Beam stock parts, and so is the livery. Don't try to claim you made everything yourself. "Bruckell Moonhawk Ultra Config Pack" So be Active! 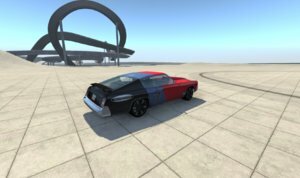 Just want BeamNG Needed, a track muscle car!